So after a long wait finally new channels in dd direct plus but this news may not seem to be good for many users but it is a very good news For Bihar/ Jharkhand / UP customers of DD DTH. 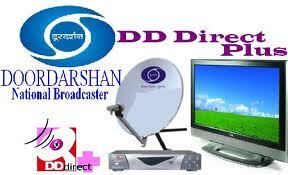 DD Bihar is currently running on the place of Test 213 in doordarshan dth. DD Bihar/Patna Already Running on terrestrial mode channel and on Insat 4B C Band but there is news from Parsar bharti that these regional channels of dd will soon join the dd dth package.